Spring is in the air! But it’s not flowers in bloom or warmer days that are hinting at the coming season. 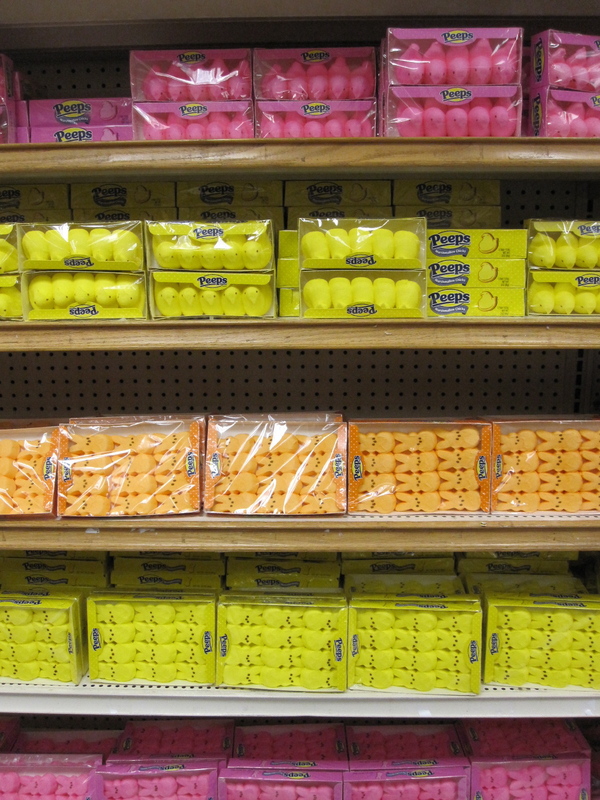 Something much better gave it away: fully stocked shelves of chocolate bunnies, speckled jellybeans, Peeps (including the original ones) and all sorts of other pastel-colored Easter candy on sale now. 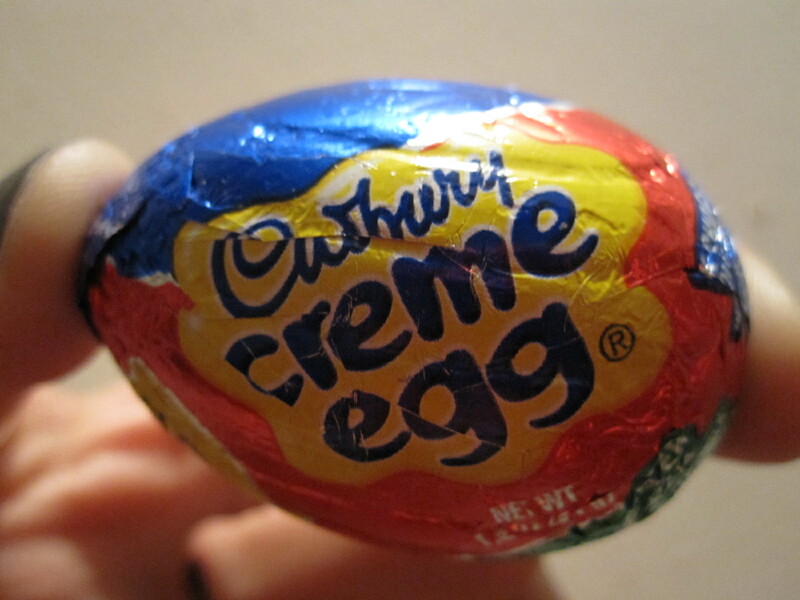 But most exciting of all is the arrival of my absolute favorite seasonal holiday candy of all time: Cadbury creme eggs. 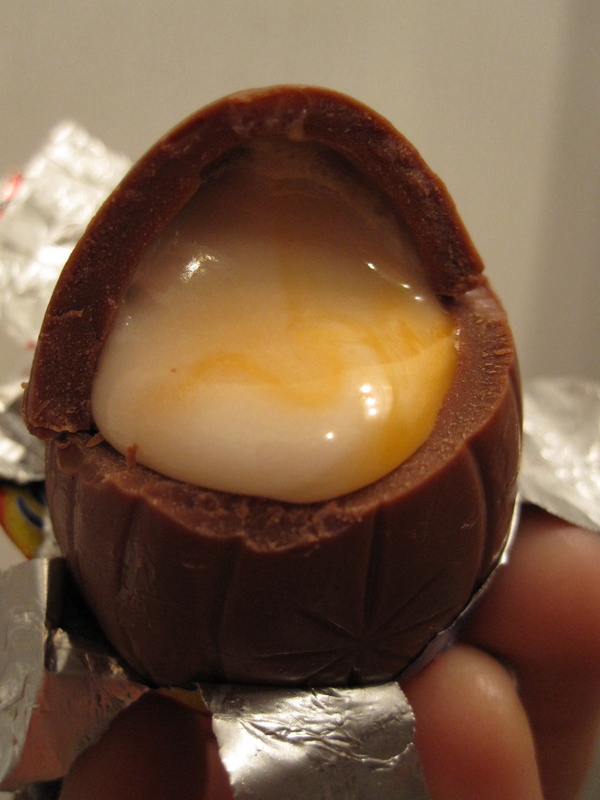 I’ve been eating these gooey cream filled chocolate eggs every year for as long as I can remember. While some people outgrow these things, Cadbury eggs are part of my life just the way spring is part of the year. While some wait hungrily for spring and warm weather, flowers and longer days, I wait just the same way for those cream filled eggs. Thankfully, this year’s wait is over. I need the kind of creature that lays these eggs. This entry was posted in Sweet stuff and tagged Cadbury creme eggs, Easter, Peeps. Bookmark the permalink.